An estimated 1.8 million named species of organisms exist on Earth today and many more are now extinct. This rich diversity is documented through research collections of fossil and extant organisms housed in natural history museums, universities, field facilities, botanical gardens, state surveys, and other institutions maintaining collection facilities. iDigBio will be participating in a workshop to consider future research opportunities arising from current national initiatives to digitize and mobilize images and associated data from U.S. biodiversity collections. The meeting will be held in Washington, DC, on January 5-6, 2017, and is being sponsored by the Biodiversity Collections Network (BCoN) Research Coordination Network. Participation in this workshop is by invitation only. Are you preparing a project proposal for the Advancing Digitization of Biodiversity Collections (ADBC) program? Visit the National Science Foundations Blog for the Division of Biological Infrastructure to find information regarding ADBC budget justifications & decisions. Join the leading researchers and professionals striving to digitize Natural History Collections in the U.S.! The Summit brings together representatives from TCNs, iDigBio, and partner initiatives related to NSF's Advancing Digitization of Biodiversity Collections (ADBC) program. The Summit will focus on discussions of shared goals, challenges, opportunities, and inspire collaboration. There are more than 1600 biological collections (biocollections) in the United States. Scientists have amassed, annotated, and curated in those collections more than one billion specimens. These specimens and their associated data are maintained for research and education and to inform wise decisions about the environment, public health, food security, and commerce. Wonderful news for iDigBio fans and new friends! Read more about iDigBio video available! Digitization was a hot topic at the 2013 Association of Southeastern Biologists’ (ASB) meeting held in Charleston, West Virginia the week of April 10. Well before the beginning of the ASB–iDigBio-sponsored digitization symposium and workshop, several conference goers had already offered important papers outlining strategies and successes in digitizing small herbaria and incorporating digitization into biodiversity field research. Recognizing the value of biocollections for research, education, and society, the biocollections community coalesced in 2010 to develop A Strategic Plan for Establishing a Network Integrated Biocollections Alliance (NIBA). The plan issues a strong and urgent call for an aggressive, coordinated, large-scale, and sustained effort to digitize the nation's biocollections in order to mobilize their data through the Internet. Periodically, the National Science Foundation accepts proposals for additional Thematic Collections Networks to participate in the Advancing Digitization of Biodiversity Collections initiative. Please review the publication on NSF’s website for full details. Prior to submitting a proposal for ADBC, please review our Notes on writing a proposal for the ADBC program at NSF. 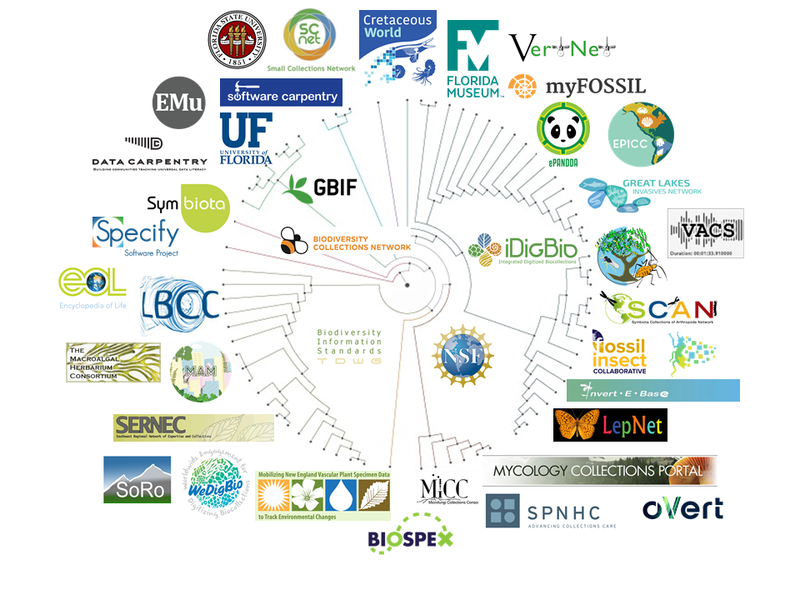 It is important to consider that iDigBio is one portion of a larger biological digitization community. The following links provide an overview of the larger Network Integrated Biological Alliance (NIBA), which includes iDigBio, Thematic Collection Networks (TCNs), and other digitizing institutions and strategic partners. In 2015 RCN changed NIBA's name to the "Biodiversity Collections Network" (BCoN). The National Science Foundation's Advancing Digitization of Biodiversity Collections (ADBC) program seeks to enhance and expand the national resource of digital data documenting existing vouchered biological and paleontological collections and to advance scientific knowledge by improving access to digitized information (including images) residing in vouchered scientific collections across the United States.